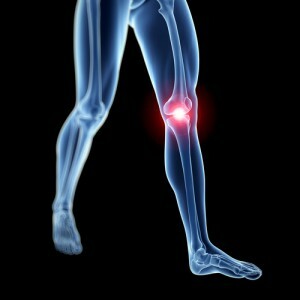 There 1,300 Zimmer NexGen knee product liability lawsuits are pending throughout the country. Countless more victims are waiting on the sidelines (maybe to soon lose their rights because of the statute of limitations). The progress on these cases in recent months can best be summarized by “well, they are coming along.” Now, at least, there is a more concrete plan to move this litigation forward. On March 24th, Judge Rebecca R. Pallmeyer, the judge overseeing all of the consolidated federal cases pending in the U.S. District Courts, identified six cases that will be part of the “initial tranche” of Zimmer NexGen bellwether trials. A bellwether trial are test cases that allow the parties to see what a jury will do with a claim that is typical of the class. Why? So the parties can get a better idea of just what the value of the cases might be. These are called bellwether cases, often precursors for settlement talks, are expected to begin in 2015. First introduced in 1995, NexGen Complete Knee Solution System was one of Zimmer’s most successful knee products. In 2001, Zimmer attempted to capitalize on the success of this product line by releasing a modified version of the original design, the NexGen Flex line of products, designed to achieve 155 degrees of flexion. Most components were approved without extensive trials or FDA investigation into their safety through the 510K fast-track approval program. This FDA program allows medical devices to enter the market without requiring manufacturers to conduct clinical studies. Instead, the manufacturer must only demonstrate the device is substantially equivalent to other similar products already on the market. So the actual product that goes into a patient’s knee is not tested like these medical devices should be tested. Unfortunately, The FDA began receiving several reports of adverse events and complications related to the NexGen Flex Knee. The NexGen Complete Knee Solution MIS Tibial Components, NexGen TM Tibial Trays, and MIS Modular Tibial Plates and Keels were recalled in September 2010, and the NexGen LPS-Flex Gender Femoral Component was recalled in December 2010. Then, problems with the Natural-Knee II Durasul All-Poly Patella, not a part of the NexGen Flex line, prompted the FDA to issue a Class II Recall on Jan. 25, 2012.
Zimmer has a large product line that includes artificial joints, surgical products, and spinal and trauma devices. Zimmer is also the world’s largest producer of knee replacement implants and controls 26 percent of the knee replacement market. 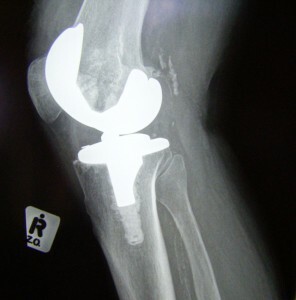 Zimmer’s worldwide knee replacement market is estimated to be $7.2 billion. All of the NexGen knee complaints involve similar allegations that certain configurations of the Zimmer NexGen artificial knee systems are defective and prone to fail within a few years. These defect may cause pain and may require subsequent knee replacement surgery. The lawsuits allege product liability, negligence, and failure to warn claims against Zimmer, Inc. and Zimmer Holdings, Inc., the manufacturers. The majority of victims are not giddy by the prospects of their case going to trial. They want to get a fair settlement for their injuries and they want to move on with their lives. If you or a loved one has used Zimmer Knee Implants and experienced looseness, pain, or discomfort from the implant, please call one of our attorneys at 800-553-8082 or click here for a free no obligation consultation on your potential Zimmer Knee Implant lawsuit.